The strawberry addition fact clip cards teach kindergartners and first graders their basic addition facts in a fun and hands-on way. The strawberry addition facts clip cards are a fun way to learn addition facts for kindergarten and first grade. The cheery strawberries make math fun and look much cuter than a traditional flashcard. 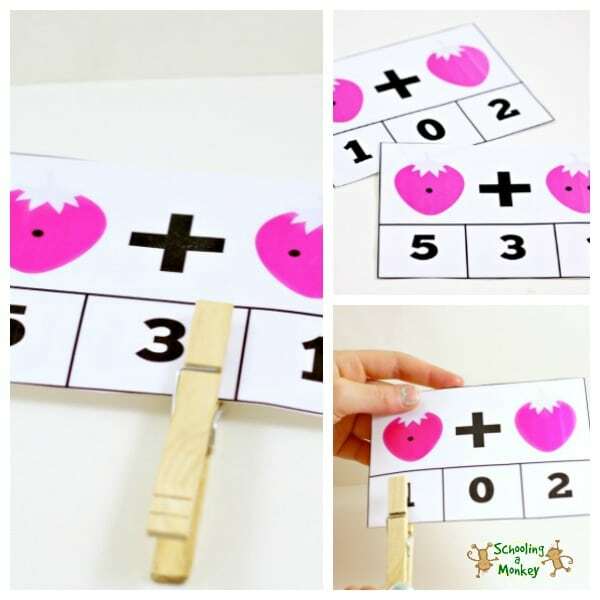 Clip cards provide a hands-on way to teach math that kids of all ages will love. You will be directed to the download page. 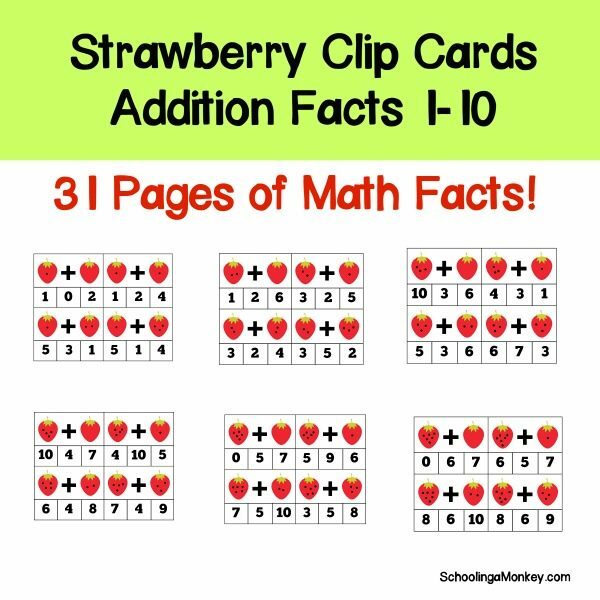 Click “Download: Strawberry Addition Facts Clip Cards Pack” to save your printable. You will also be sent an e-mail link to download your printable. Print the clip cards onto cardstock paper and laminate, for best results. Find more info on how to use these strawberry addition fact clip cards here.